A new study by a team of researchers from Yale University has identified the mechanism of a gene that raises the risk of developing severe rheumatoid arthritis (RA)—a finding that may pave the way for the development of precision RA treatments based on the genetic profile of each patient’s arthritis. Led by Yale professor of medicine Richard Bucala, M.D., the researcher team focused on the disease-causing variants of the gene MIF (macrophage migration inhibitory factor), which Dr. Bucala’s lab had previously shown to be associated with the development of severe RA. 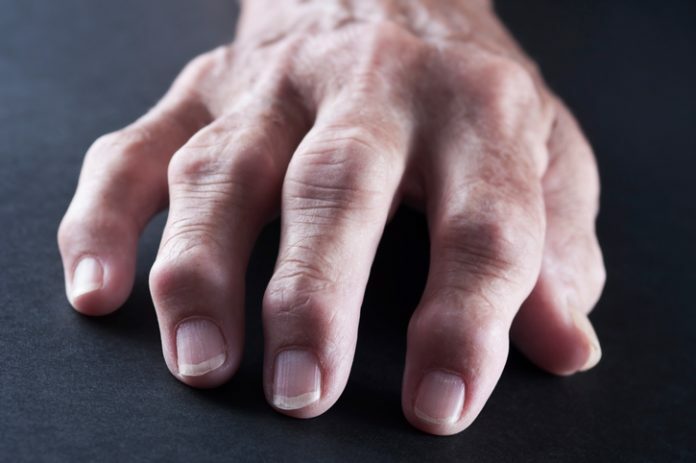 The new findings resulted from experiments using cells from the rheumatoid joints of patients who either had the disease-causing, high-expression variant of the MIF gene, or the disease-protective, low-expression variant of the gene. The studies showed that correlation between high-expression of MIF variants and increased expression of the MIF receptor protein CD44 predicts structural changes in the protein that also occurs in cancerous tissues. According to the authors of the research, these findings could unlock the potential to treat patients suffering from severe RA with MIF inhibitors in patients who are genetically susceptible. Dr. Bucala and co-author Jurgen Bernhagen, Chair of Biochemistry and Molecular Cell Biology at University Hospital Aachen in Germany, have already patented the clinical utility of anti-MIF, anti-MIF receptor, and MIF genotype and are currently involved in a development collaboration with Swiss pharma company Debiopharm, focusing on MIF inhibitors to treat autoimmune and inflammatory diseases.